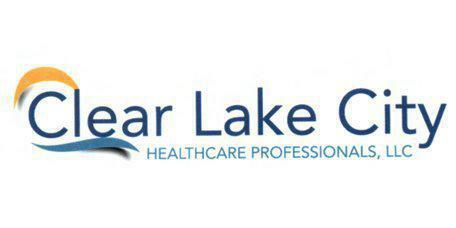 Call Clear Lake City Healthcare Professionals in Webster, TX for abscess treatment. When you notice a painful sore on your body, it may raise concerns about the cause of the pain. An abscess is an obvious problem, but it is not always clear why you developed the problem or how to remove the abscess from your body. An abscess refers to a tender mass on your body. It generally appears pink or red in color and you may notice tenderness or pain when you touch the mass. The middle of the mass usually contains pus and debris. The tender mass may occur at any location on your body, but it is most commonly found in the armpits, groin, the base of the spine, and around a tooth. Regardless of the location, you want to treat the abscess to prevent complications or limit the risk of a larger infection. The causes of an abscess depend on a variety of factors, including the location on your body and your current health. Generally, it occurs when you have a minor injury or break in the skin that allows dirt and bacteria to get into the wound. It may also occur when an obstruction, like dirt, gets into a hair follicle, sweat gland or a similar area on your body. It is more common when an individual has a health condition that lowers his or her immune responses, such as diabetes or cancer. Since germs and bacteria get into the small wound, it causes your body to fight back with an inflammatory response. Over time, the dead cells, bacteria, and debris is pushed to the center of the abscess and a liquid forms around the area, resulting in the tender mass. As the mass grows, you notice the pain and discomfort associated with the problem. How do we Treat an Abscess or Wound? An abscess is treated by making a small incision and draining the pus and bacteria. We then provide appropriate wound care and recommend antibiotics to kill off any remaining bacteria in the area. You reduce the risk of developing an abscess by cleaning small wounds and bandaging them until the wound heals. An abscess causes discomfort and pain, but you can treat the problem with a simple procedure. By draining the mass, you allow your body to heal and recover.